Ghulam Hussain Umrani Sindhi Fok Music Singer. He is most popular Sindhi Classical Music, Sindhi Cultural Music Sindh Lok Music Singer. He sung lot of great Sindhi songs in Sindhi and Saraiki language and he sung all songs in his own style for new generation of Sindh. Ghulam Hussain Umrani create great name in Sindh Music and he is good Folk Music Artist of Sindh. Her Sindhi Songs are very popular in young culture of Sindhi peoples. His most popular songs such as "Aashiq Majboor Aa", "Allah Hi Allah", "Hae Hae Tuti Dil", "Aashiq Jo Lash Yaro" and also he sung popular Urdu Folk Music Song "Raat Ke Andhere Mein". Ghulam Hussain Umrani Sung all type of songs specially in Sindhi Language. 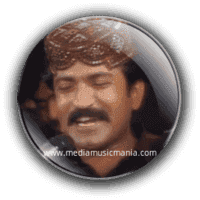 Ghulam Hussain Umrani was born in 1975, he has sung very hit songs, for youth Sindhi culture, peoples like his songs due to great style in "Chapri and Yaktaro" was popular instrument of Sindh. He is also sung Sindhi Sufi Music on the Shrines of Buzrigs. He is famous Artist of Sindhi Pop Music, and also sung sung poetry of most popular Sindhi poets. Now in these days the Music of Ghulam Hussain is very popular in Village to Village and City to City. He sung in marriage ceremonies, Mela and other activities. I have selected below most popular Music of Ghulam Hussain Umrani.